The top DWI officers in Genesee County in 2017 were Deputy Mathew Clor, Deputy Ryan DeLong, Batavia PD Officer Mitchell Cowen, and Batavia PD Officer Christopher Lindsay. The officers were honored yesterday at a luncheon hosted by the county's STOP-DWI program at Terry Hills. Clor joined the Sheriff's Office in 2016 and is a graduate of Batavia High School. DeLong became a deputy in 2015 and is a graduate of Batavia HS. He has an associate degree from Genesee Community College in Criminal Justice. 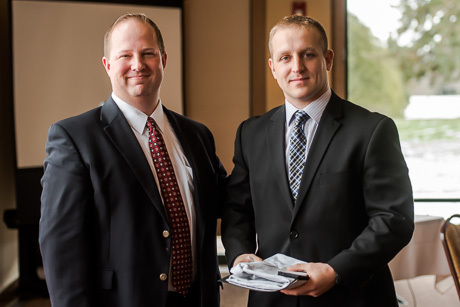 Cowen joined Batavia PD in 2014 and was previously a police officer in Salamanca. Lindsay has been an officer in Batavia since 2014. In the student poster contest, the 6th-8th grade winners were: Malachi Smith, Byron-Bergen; Antonio Andrade, Elba; and Maria Prattico, St. Joe's. 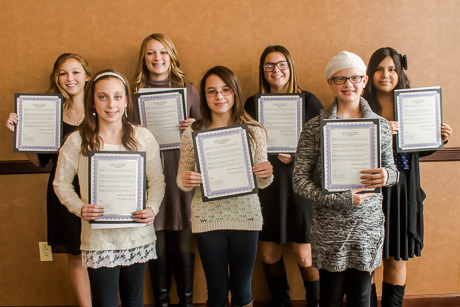 The 9th-12th grade winners were: Taylor Hutton, Le Roy; Jessica Andrade, Elba; and Amber Leigh Fitzimmons, Batavia. Emma Goodman, Byron-Bergen, won for computer-generated art. The grand-prize winner was Brooke Jarkiewicz and Grace Shepard, Byron-Bergen. 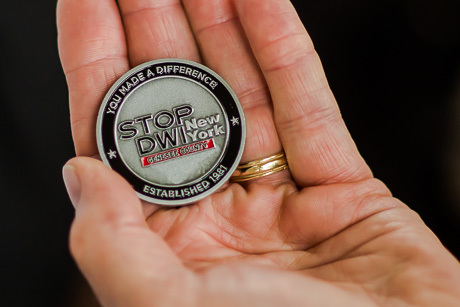 On Tuesday, Nov. 22, the Genesee County STOP-DWI Advisory Board sponsored its premiere STOP-DWI Awards Luncheon at Terry Hills Restaurant & Banquet Facility. Seven young people from districts in the county were honored for their commitment to the community for entering the Board’s STOP-DWI Poster Contest. There were First- through Third-place winners in two grade categories, 6-8 and 9-12, as well as a Grand Prize Winner. 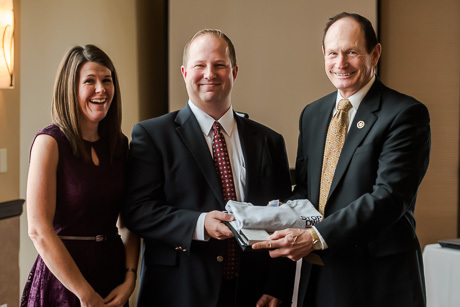 Additionally, the luncheon recognized two Top Cop Awards and a Coordinator’s Award. The following young people were recognized for their STOP DWI poster submissions: 6-8th grade winners; Jessica Andrade, Isabella Biviano, Taylor Hutton and Grace Shepard. The 9th-12th grade winners are Isabella Riner and Morgan Harrington. The Grand Prize Winner whose artwork will appear on two billboards in Genesee County throughout the month of December is Kallie Totten, an eighth-grader from Elba Central School. 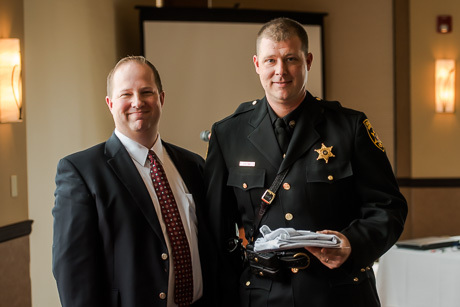 Batavia Police Officer Matthew J. Wojtaszczyk and Genesee County Sheriff Deputy Rich Schildwaster received the Top Cop Award for going above and beyond with DWI arrests during a twelve month time period. They were also honored for their dedication to keeping our community safe. Genesee County Sheriff Gary Maha received the Coordinator’s Award for his outstanding commitment to our community for the last 49 years. 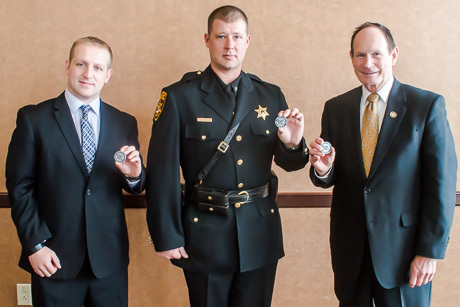 The law enforcement honorees each received a challenge coin. 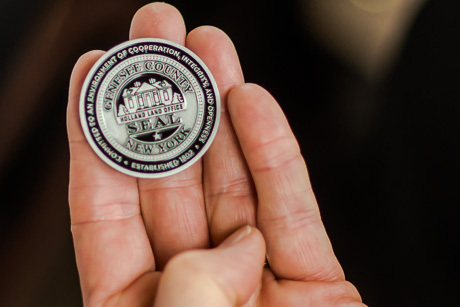 STOP-DWI coordinator Matt Landers explained that there have been only 50 such coins made, each is sequentially numbers and they will be given out to honorees in the coming years. Genesee County Sheriff Gary Maha, who is retiring at the end of this year, received coin #1. A traveling display designed to help young people learn more about the dangers of drinking and driving has arrived at Genesee Community College. Arranged by the STOP-DWI program, which is funded through fines paid by drunken drivers, the display features the stories of young people killed by drunken drivers. There are at least eight different displays that travel throughout the state, created by the state association of STOP-DWI programs, each with a different theme. The theme currently on display at GCC features athletes. Artifacts: Personal items from the crash victims, such as: photographs, closes, drawings and sports equipment. Statements: Accounts from survivors, family members, friends and members of the community affected by the crash. Newspapers: Local news coverage of the crash. Timelines: The chain of events leading up to the crash and the events immediately following. Aftermath: Victims' statements read at trial and the outcome of any court proceedings available at the time of the exhibit’s creation. It's a powerful message that reminds viewers of the impact of a fatal DWI-related accident, said Sheriff Gary Maha. "This is first time I've seen this," Maha said. "To me, this is the real thing. These are victims, innocent victims, who have been tragically killed by drunk drivers. We see it often in our community from time to time. "I hope young people come out and look at this and read these stories and eventually won't drink and drive," Maha added.